Massachusetts courts do recognize that when a driver suffers a sudden medical emergency immediately prior to a car accident, he or she cannot be found liable for the crash. Applicability of the sudden medical emergency doctrine continues to be weighed by courts in the Commonwealth, as the defense always raises questions as to whether the medical emergency was foreseeable (i.e., was it sudden seizure or someone who knew they had epilepsy? etc. ), and also whether strict liability may apply anyway. Some states have considered sudden medical emergency to be an absolute defense against liability in a traffic accident (see the Ohio Supreme Court’s 2003 decision in Roman v. Estate of Gobbo). 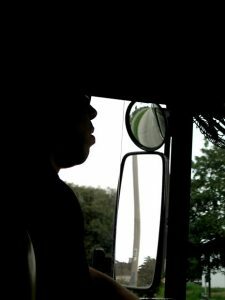 Recently, the Utah Supreme Court considered this issue, finding that strict liability can still be imposed on a driver who suffers sudden incapacity. The case involves a motor coach driver who suffered a sudden and unforeseeable loss of consciousness. According to court records, the personal injury claims arise from a bus accident that happened in October 2009. The driver, a 50-year-old woman who apparently had no pre-existing medical condition, suffered a sudden loss of consciousness while driving a bus full of high school band students back home to Utah from a competition in Idaho. This sudden loss of consciousness caused the bus to leave the road, hit a ravine and roll several times. One teacher was killed when she tried to take the wheel to save the students on board. Several of the students suffered personal injuries. Four of those students filed individual separate injury lawsuits seeking damages. Two of those students filed motions for summary judgment, arguing that the company that owned the bus was strictly liable for the injuries of passengers under the state’s motor vehicle liability coverage statute in the insurance code. The summary judgment motions were denied by the trial court, which rejected the notion that strict liability could be asserted here, and that sudden incapacity was an absolute defense. The only way injured plaintiffs could recover damages would be to show the driver had been at-fault. A number of cases in this matter are still pending. However, the issue before the state supreme court involves a federal lawsuit filed by the bus company – after it succeeded in defending against motions for summary judgment in state court – in which it sought a declaratory judgment that would affirm the trial court’s interpretation of the state code that would reinforce the conclusion that the sudden incapacity defense requires proof of fault in order to assert liability. The federal court noted there was an odd procedural effort here (noting that a declaratory judgment in a federal court could be undermined by an eventual and conclusive interpretation of state law by the state supreme court). Therefore, the federal court certified two questions to the state supreme court, asking whether state code imposes strict liability on an insured driver for damages to third parties resulting from the driver’s unforeseeable loss of consciousness and if so, whether that liability is limited by the applicable insurance policy amount or instead by the minimum statutory limit. The court ruled in favor of the injured passengers, finding that the sudden incapacity defense does impose strict liability coverage. The court also held that the liability limits of the driver who was incapacitated is capped by the limits of the auto insurance policy.